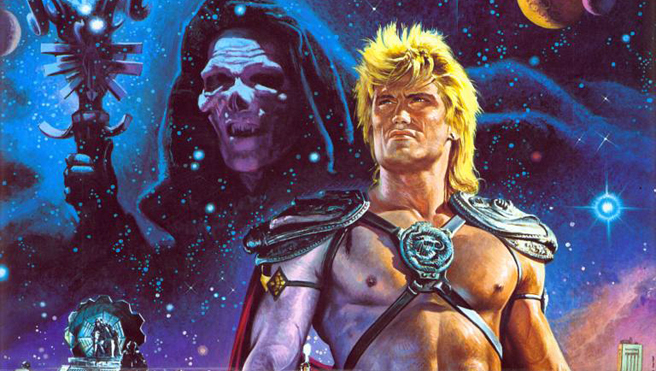 Masters of the Universe The Movie lives on in infamy as one of the worst film adaptions of all time. Even as a kid we knew that, although it had He-Man and Skeletor, it just didn’t feel like the Masters of the Universe we all knew and love. There was no mention of Cringer. Orko was replaced by a more budget-friendly Gwildor. He-Man used guns. There was a teen romance storyline that didn’t interest my eight-year-old self one bit. And it took place on Earth! Much like puberty, I was confused and didn’t understand how I should have felt about this movie. I was too young to understand the budgetary and technical limitations faced when trying to create a full blow Master of the Universe that better resembled the show. But despite all that I still remember (somewhat) enjoying it simply because it was He-Man on the big screen. Decades go by and the notoriety for this film increases. Thanks to the Internet it now has a second life and been touted over and over again as a wonderful disaster of a film created by Cannon, a fallen film company whose name goes hand-in-hand with low budget bad movies. Could it really be as bad as it was made out to be? My childhood memories for this movie weren’t overtly positive, but they weren’t negative either. I decided to give it another go, and much to my surprise I actually enjoyed it a lot! As a MOTU movie it completely misses the mark in every way shape and form. 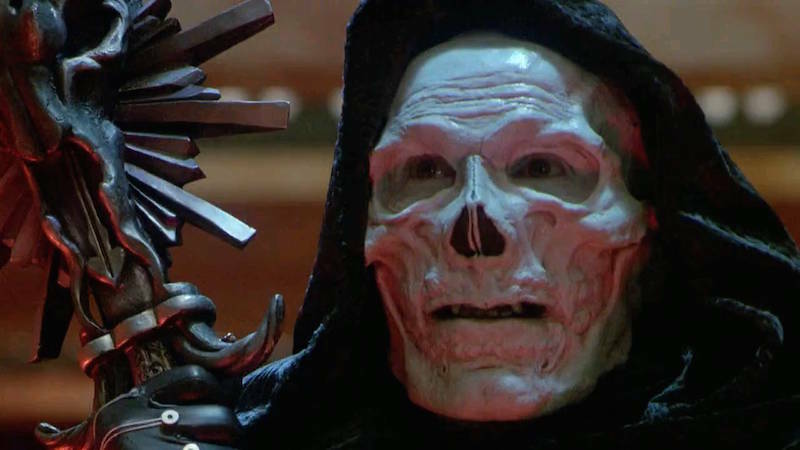 Sure, it stars Dolph Lundgren as a pretty damned convincing He-Man, and Frank Langella who plays Skeletor absolutely throws himself into the role. You can tell that he truly enjoyed playing that character and was honestly too good for this movie. But the elements that made it He-Man were far and few in-between. It had some of the characters we loved from the show like Man-At-Arms, Teela, Evil-Lyn, and Beast Man, but they could have easily been replaced by another generic sci-fi character and we would have been given the exact same movie. 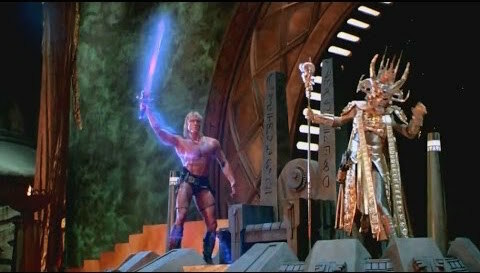 He-man barely even used his sword until the very end when it felt like the writers remembered to mention the how the sword he was lugging around the entire movie was the most powerful sword in all of Eternia. I guess even He-Man forgot all about it with all those guns he kept using. Masters of the Universe is about as 80s as it can get with He-Man’s team looking for an intergalactic synthesizer; alien invaders in black Stormtrooper suits shooting up the town; He-Man flying around on a hoverboard (seriously we ALL loved hoverboards back in the 80s); characters, that in their right, are fun to watch; and of course a cheesy 80’s teen love story. 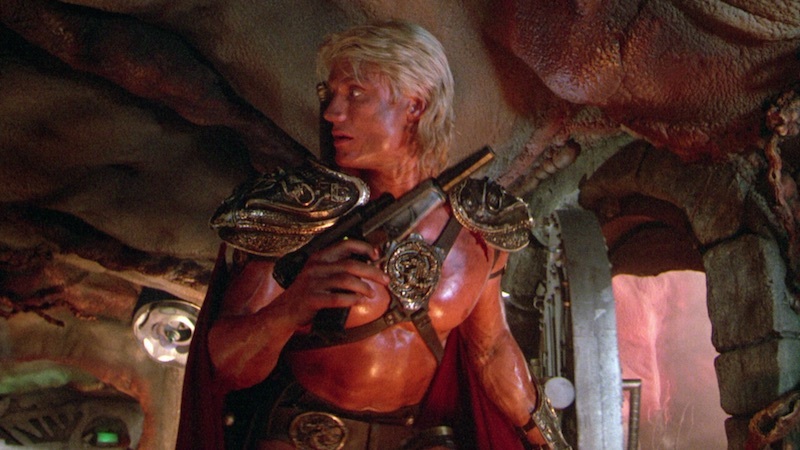 As a Masters of the Universe adaption, this movie is an unfortunate disaster. But if you can get past the fact that this isn’t really a pure MOTU film, and just another typical 80’s Sci-Fi B-Movie, then it’s an absolute blast and a pretty good choice if you’re in the mood for a fun bad movie night.